The groundwork before starting the development of any mobile application is known as a product specification document or a mobile application requirement document. In short, a mobile app requirements document is a blueprint of the business plan with all technical information, and it is also a reference point for your mobile app development team from the initial stage to the end stage. Now you might come up with the question, why it is important to create a product specification document? Let’s consider a scenario where you require developing a mobile application and you just provide your development team with the description of requirements. But when the application gets ready, you find it different from your expectations. This inconsistency happens because requirements were not clear to the developer before starting the development process. A well-constructed document will give a clear picture of your idea to the iOS or Android app development team. With the documentation, you can make sure that the requirements are clear to the developers. Hence, a document offering details of the functional requirements of the app is very crucial. While writing a description about your app idea, make sure you summarized it in one or two sentences. This will help readers to get an understanding of the main purpose behind the app instantly. With an app idea, you must have some basic sketch of navigation pattern. Navigation is one of the most important things which defines the sequence of the way an end-user is going to explore the app. Also, incorporate little information about basic screens such as the home screen, user registration screen, the onboarding screen, etc. Don’t miss forgot password feature and privacy-policy! You should review the existing app based on the same concept or some app similar to your idea available in the market. This will help you decide what features you want to incorporate in your application and which to omit. 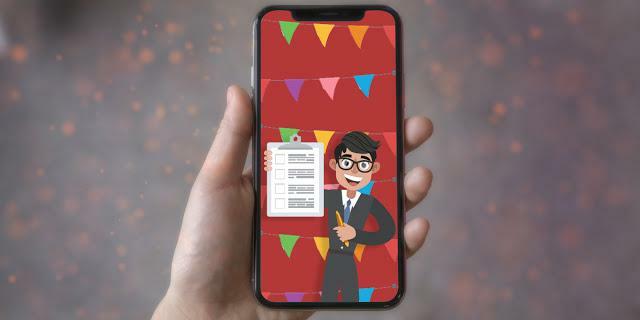 For example, if you like some feature from app X and some from App Y, you can include all of them to your mobile application requirements document. Defining priority helps your developers to understand which feature is more important and so on. You should convey to your development team what are the must have features and which features can be omitted or can be developed in the second phase. Generally, end-users do not pay much attention to small elements like the color of buttons, etc. While creating requirement document, you can skip such details as all your users are looking to understand whether or not your application is able to solve their problems. Hence, your major focus should be on the functions and features that you are seeking to add in your application; and the rest details can be set on lesser priority. It is the best practice to offer wireframe of the app along with the text. If the application document has more than four screens, creating a screen map is an ultimate option. The flowcharts give a visual representation of your requirements and assist the developers to get a precise understanding of the app description. After you have all the information that you need to include in the product specification document, it is equally important to select the most suitable format to write it. There are numerous formats available on the Internet, choose the most relevant one for your app. The sole motive behind creating a mobile app requirement document is to make your requirements clear to the iOS and Android application development team so that they can deliver a great user experience via your applications. Everything that you need to do is to understand the user’s expectations and convert them into a requirements checklist. If you are ready with your checklist and looking for iOS and Android app Development Company, contact Panacea to convert your requirements into the most effective app.